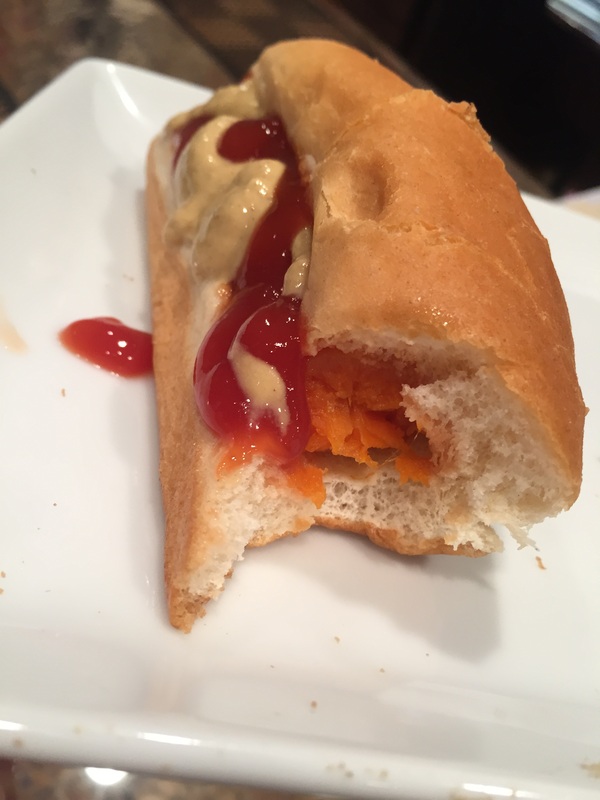 Vegan Hot Dog ……..will it pass the taste test? I came across this recipe on Pinterest and of course I had to give it a try. 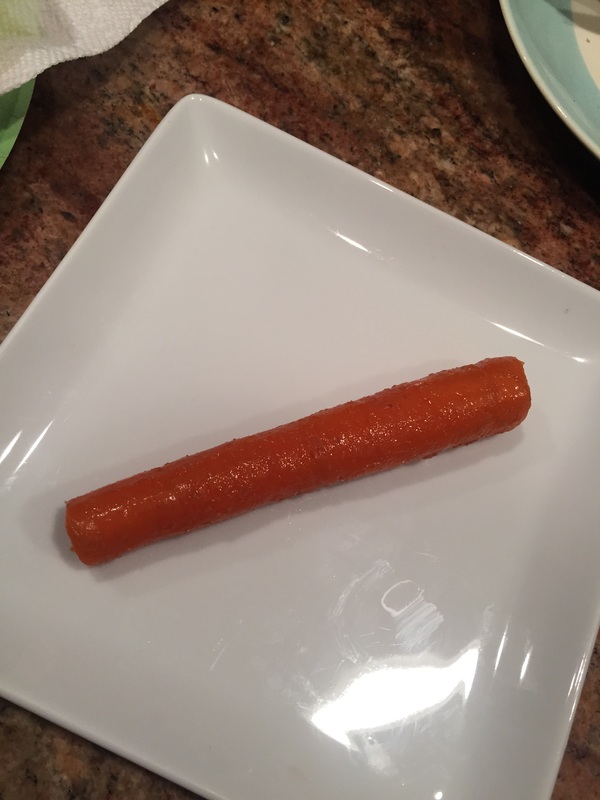 Some of my family members said I was crazy and there was no way they would eat it……or would they?? 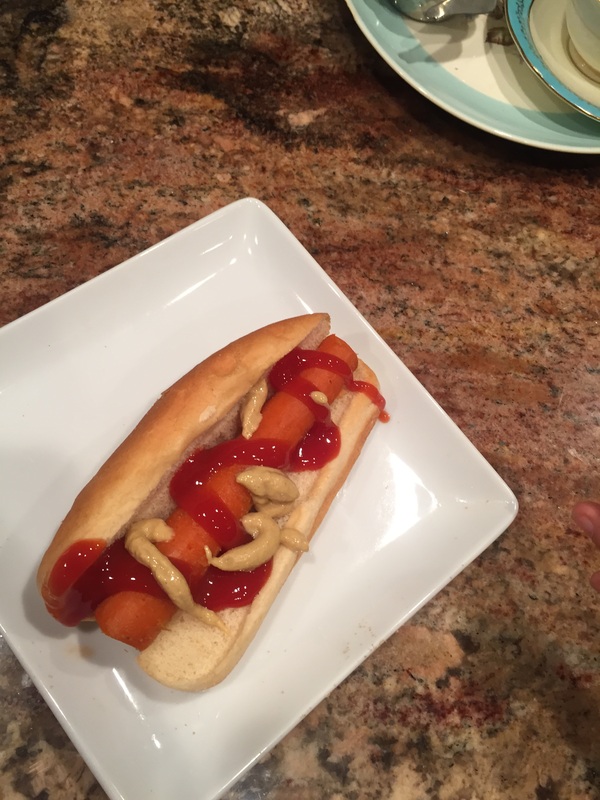 This vegan hot dog is made by using……………… carrots!! 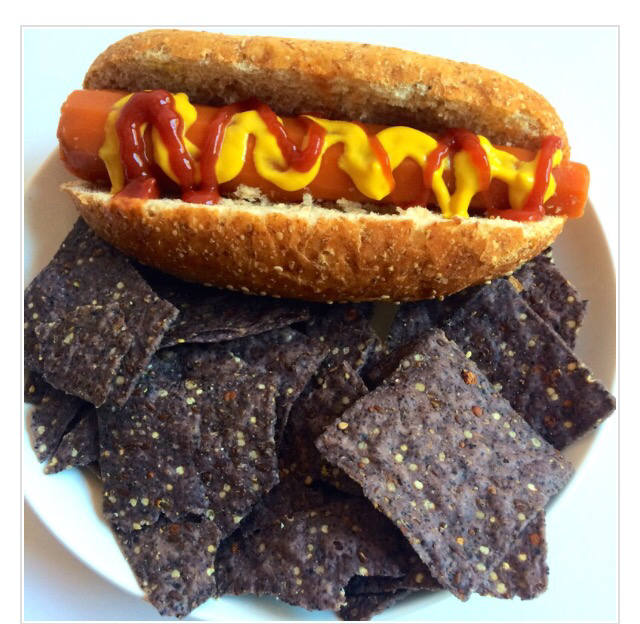 See the actual recipe at VegAnnie for details. 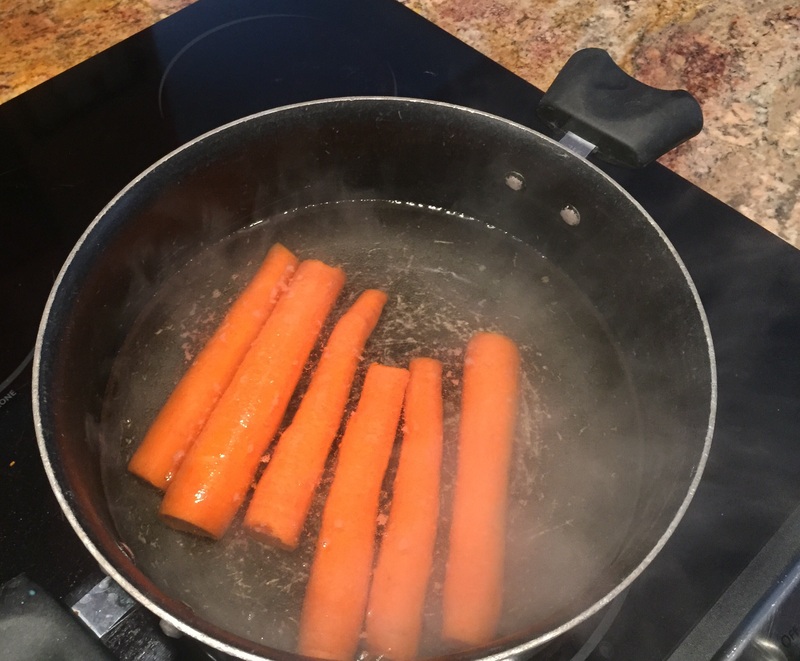 I cleaned the carrots then as per the recipe boiled them in water until soft. 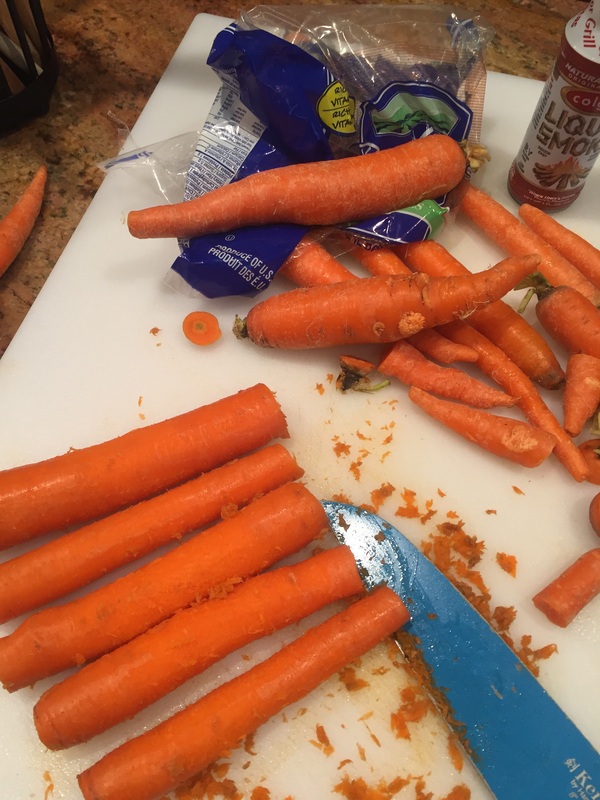 While the carrots were boiling I combined the ingredients for the marinade. 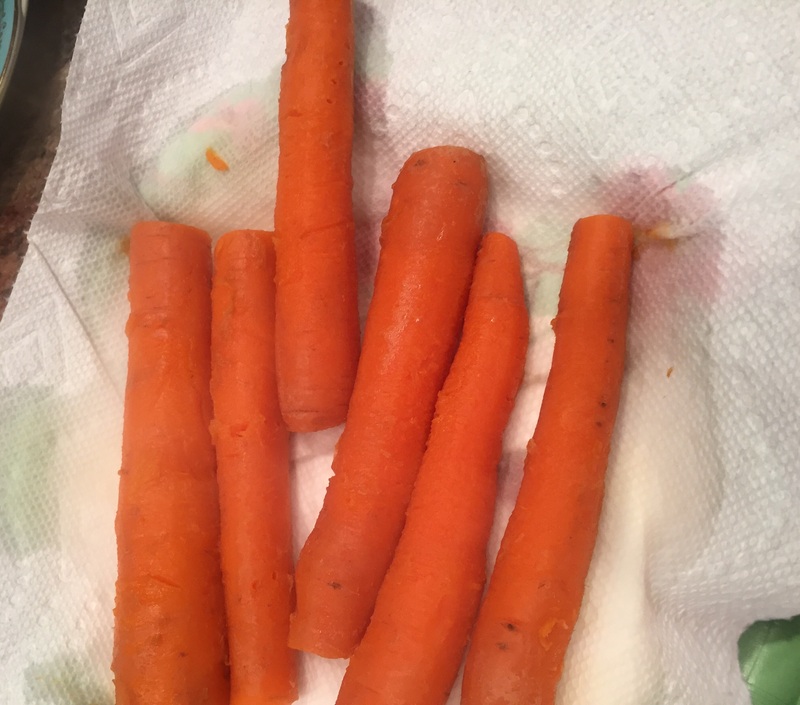 Once the carrots were done boiling I set them aside to cool then put them in the marinade and into the fridge overnight. 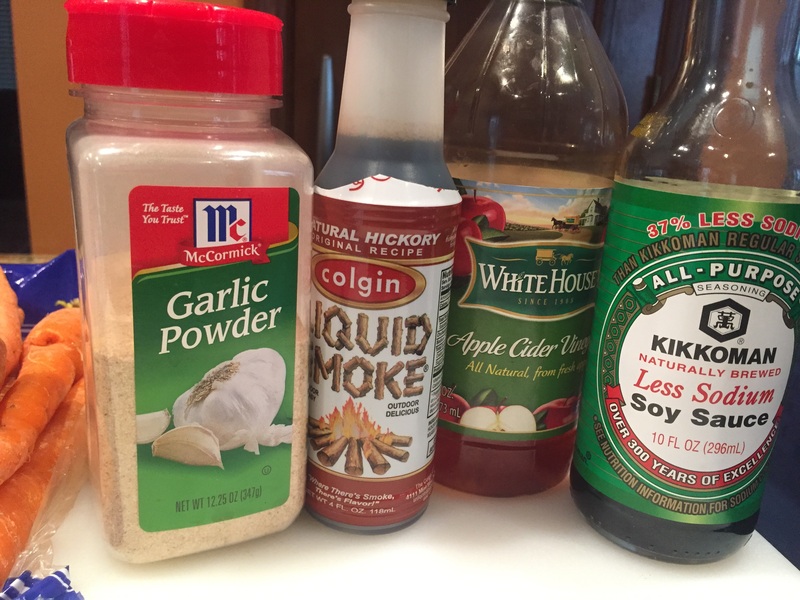 The next day I took them out of the marinade and set on a paper towel to drain. 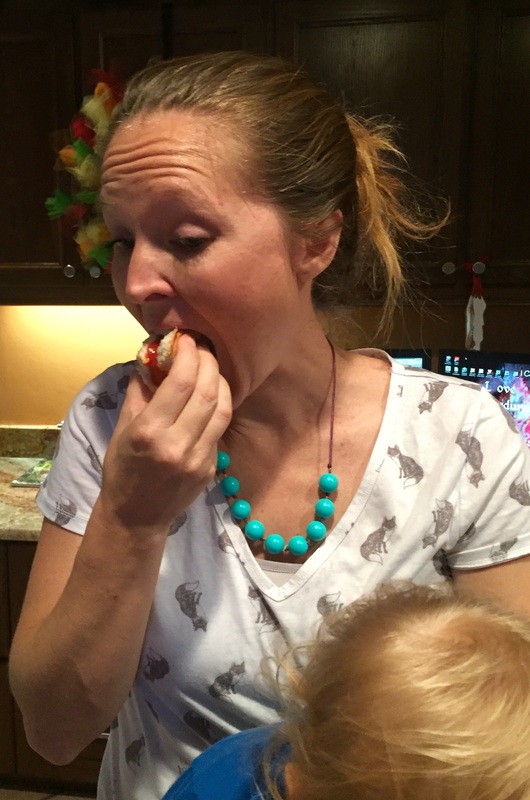 Alexa was the first to brave the taste test, she loved it!! Zane loved it as well. 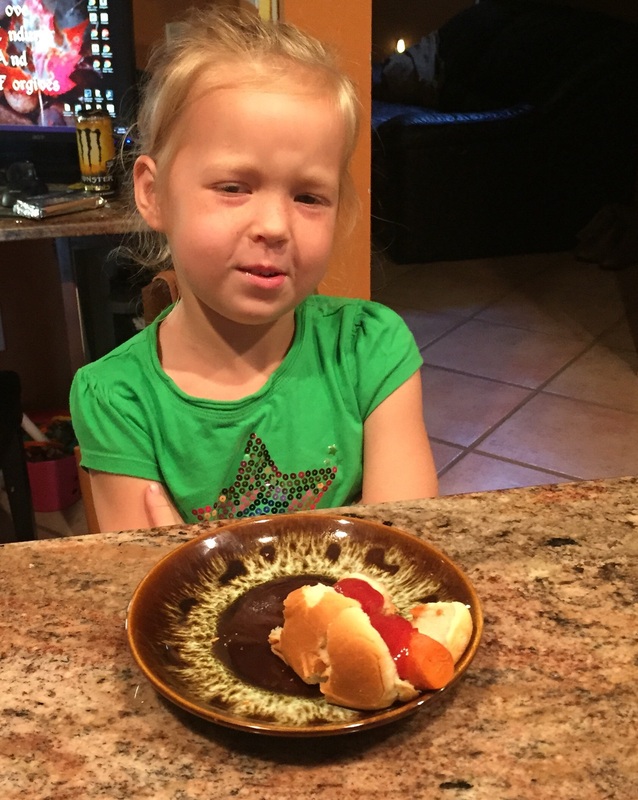 April said that it did taste like a hot dog…..Cora was not sure sure about it…but then gave in and tried it and said she liked it. 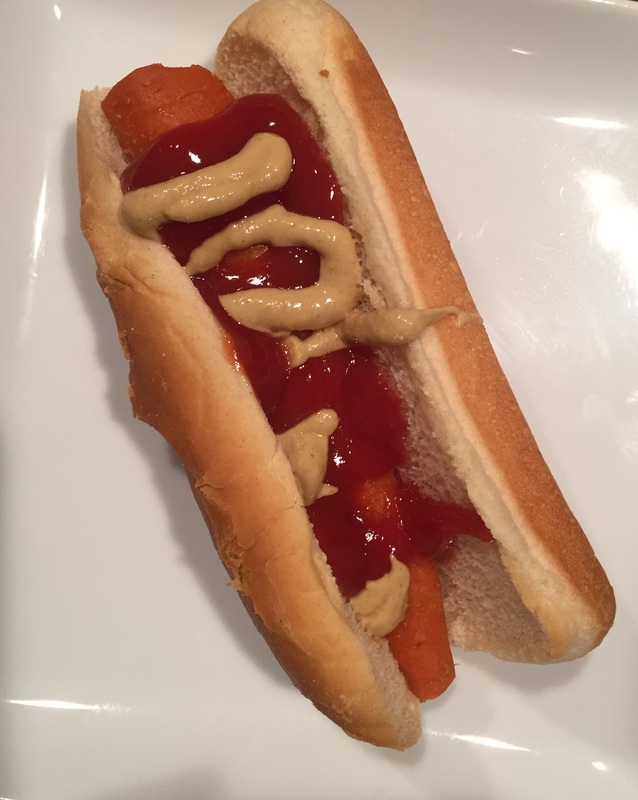 I got my husband to taste it and he agreed that it tasted like a hot dog. 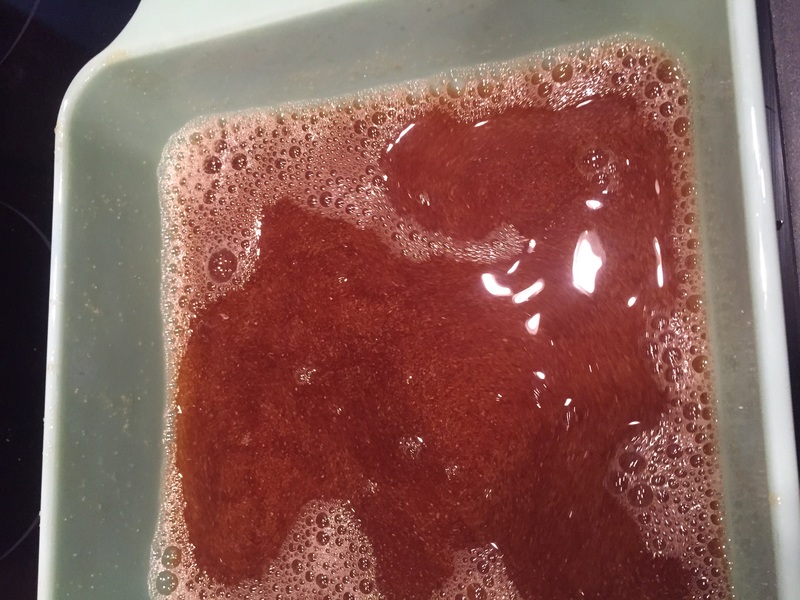 Overall….I think this test was a success!! I love these and will make again!! 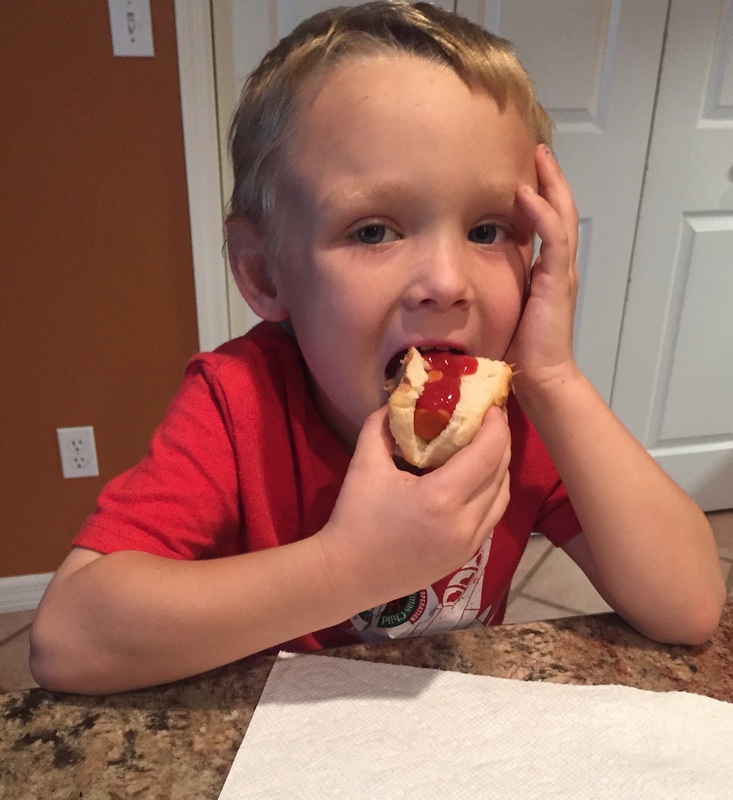 Yes, try them…..I think you might like them. Let me know how yours turn out! 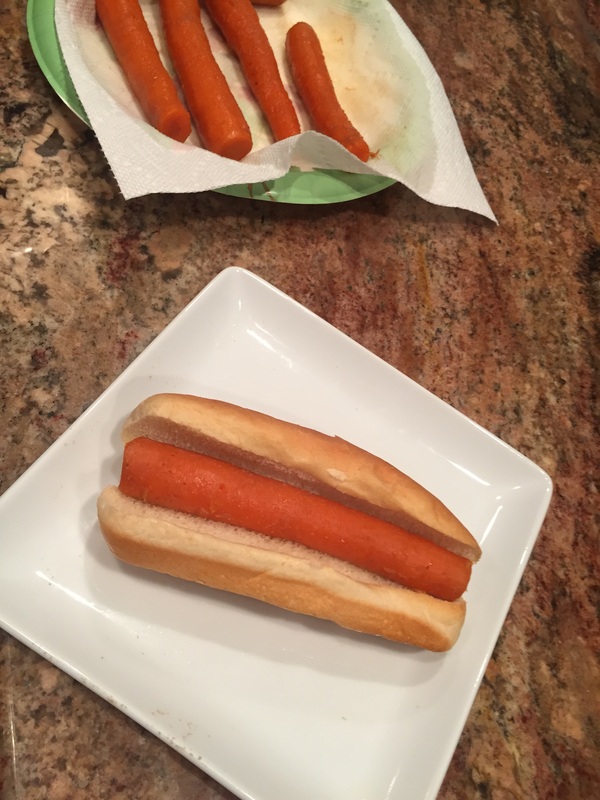 It’s amazing how much mock meat tastes like the real thing!